Effective November 21, 2016, public bodies in the UK will be under a duty to ensure that staff in customer-facing roles can speak fluent English (or, if in Wales, fluent Welsh). The purpose of this requirement is to ensure that relevant staff members have a command of spoken English that is sufficient to enable the effective performance of their role. The new duty applies to both existing staff and new recruits of bodies that carry out functions of a public nature, including, but not limited to, the NHS, local governmental bodies, central government departments, state schools and public corporations. We encourage all public authorities to make existing staff aware of the new requirement and the consequences of failing to meet the necessary levels of spoken English. 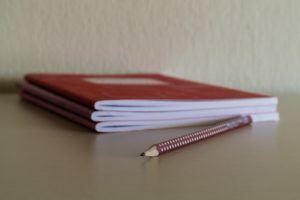 Where appropriate, employers may also wish to amend employment contracts to make performance of the relevant roles conditional upon the individual meeting the required standard of fluency. As a matter of best practice, employers should update recruitment processes so that job postings clearly set out the standard of English required for the particular role and adhere to that standard when assessing a candidate’s suitability for the position. Where an existing staff member fails to meet the necessary threshold, we recommend that employers provide the necessary training and monitor the staff member’s progress. If an employer determines that there has not been sufficient improvement in the staff member’s spoken English within a reasonable period of time, the employer should try to identify whether there is a suitable alternative position available for that staff member or whether the staff member’s role can be modified so that it is not customer-facing. 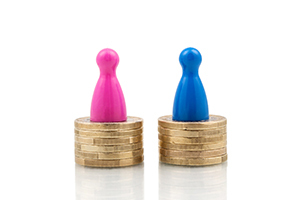 That said, employers should exercise caution before imposing any unilateral changes. Most important, employers should only consider dismissal as a last resort, and we recommend that any employer considering this option seek legal advice first. In line with this new requirement, employers must set up a complaint procedure that members of the public will be able to use to express dissatisfaction about a staff member’s English-speaking skills. Maintaining necessary levels of fluency will therefore serve to protect an employer’s reputation for customer service by limiting the number of complaints it receives. 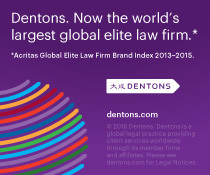 The mission of Dentons’ Global Employment Lawyer is to keep you informed of significant trends and developments in the area of global employment and labor law, wherever they take place, so that you are in a better position to make educated business decisions. 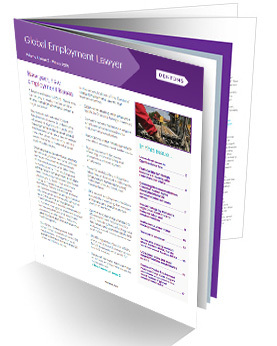 Thank you for helping to make the first edition of the Global Employment Lawyer a huge success!